We want to be an oasis where you can find your inner self. "It is our philosophy to bring people into contact – with themselves and also with others. We want to be an oasis where you can find your inner self. Minimized distractions, no Internet! We want to be a place where you can be yourself and where you feel welcome with all your feelings, sorrows and miseries. A place to celebrate life itself, to receive healing and support, to experience community, but also for retreat." 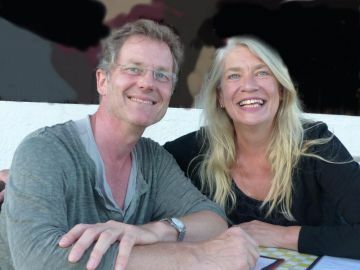 The house is managed by Anke and Ulrich, both psychotherapists, together with their hospitable team. "We are looking forward to seeing you and to welcoming you at our house. Here you can be quiet or loud, however you like!"